It starts with an idea. 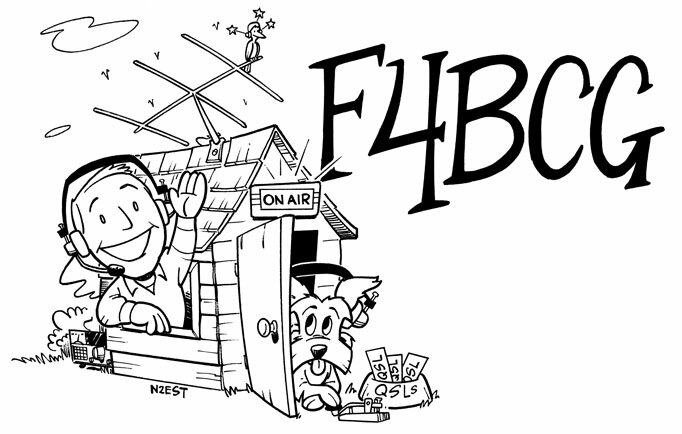 Maybe you want a ham-radio QSL card that illustrates your favorite mode, a local landmark, or the tongue-in-cheek phonetics you use with friends. Write me an email. Tell me what you want. If I can draw it, I’ll give you a quote. 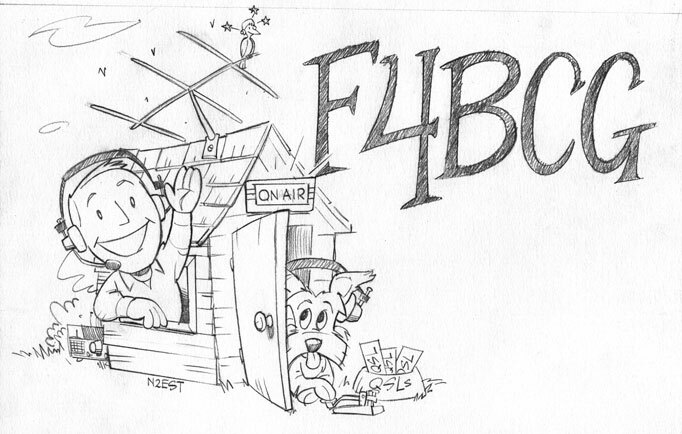 Once we agree on what you want, I draw the cartoon in pencil, scan it, and send a JPEG of it by email for your approval. If I’m not quite getting what you want, we can make specific revisions at this point. If I do get it right — and I usually do — I ink the pencil art using archival-quality markers, scan it, color it if desired, and then send you a JPEG of your finished card for approval. I invoice via PayPal once it’s approved. When payment is received, I’ll mail you the original art, rendered on letter-sized Bristol board and suitable for framing. Your card will also be sent to print. 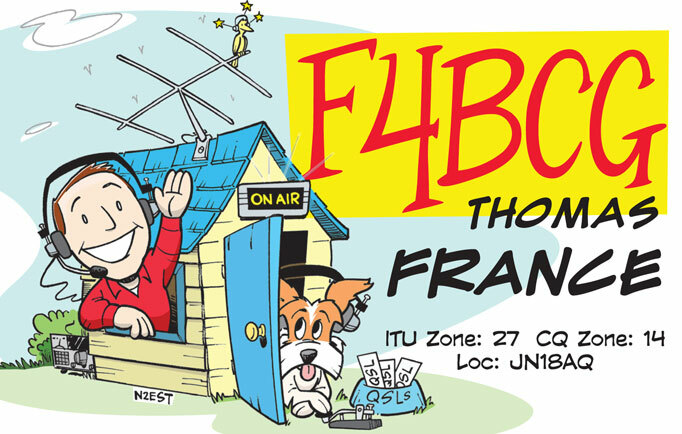 You should have your original ham-radio cartoon QSLs, ready to mail, in a little more than a week.